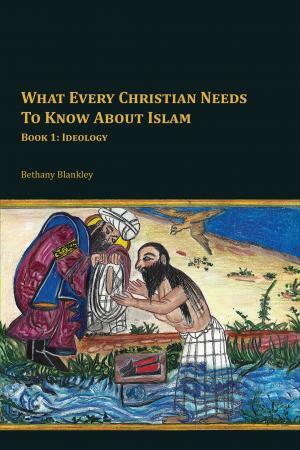 The dual purpose of “What Every Christian Needs to Know About Islam,” published by Xulon Press, is a call to engage in public policy and political action as informed citizens, and as Christians to share the gospel. The first in a series about Islam, Christianity, and politics in America, it begins by outlining the problem in America within the Christian community and civil society. Unfortunately, Evangelicals are making false claims about Islam, encouraging the building of mosques, and erroneously arguing that Islam is protected by the First Amendment. Christian denominations invite imams to pray to Allah, pastors read the Qur’an from the pulpit, and seminaries are spearheading faith-based conferences purporting that Muslims and Christians share similar beliefs. Teaching Islam in public school K-12 Common Core curriculum is a requirement. Children, and their parents, are prohibited from opting out, and taxpayers are funding public school field trips to mosques and Islamic centers, using multiple classrooms for Islamic prayers on Friday afternoons, and teaching children how to pray towards Mecca. Islamic practices have become part of U.S. banking, judicial, and political systems. Concerted efforts are being advanced to make state constitutions Shari’a-compliant, to ensure “parental rights” laws enable child marriage, and that rather than city councils or state judicial systems, Shari’a Councils establish local laws. Through several federal agencies and federally funded programs taxpayers paid to import at least 9 million Muslims under the Obama administration. Most were not vetted prior to entry, after arrival they received free healthcare, free short-term housing, food, and a range of other benefits not afforded to U.S. citizens. The majority of Muslim women and girls are in arranged marriages, which is only one of many reasons why Islamic groups are pushing for Shari’a Councils and Shari’a compliant state laws.